WHO’S AFRAID OF THE BIG BAD BOYCOTT? Apathy allows Israelis to live in comfort behind iron walls while remaining immune to the occupation and innoculated from its horrors. The culture of apathy allows them to watch the news and let out a groan of concern without thinking seriously about political engagement. Who is afraid of BDS? When asked for her opinion on BDS, her response was short and quick: “You can’t fight evil with evil.” She insisted that every boycott in history was wrong. We pressed her gently on the issue of boycotts (what about MLK’s Montgomery Bus Boycott, or the boycott of apartheid South Africa?) but it was clear that she was unwilling to go deep into the issue. She knew about the Occupation, the settlements, the racism that was rising like a tidal wave all around her, but she had deliberately cloistered herself inside a quaint European-style bar and Tel Aviv’s cosmopolitan lifestyle. Perhaps she could have contributed to the fight for a real democracy in Israel and justice for Palestinians living under occupation, but she had surrendered to the culture of apathy sanctioned by an entitled elite. We began to understand the power of the cultural boycott in disrupting the apathy that pervades middle class, urban Israeli society. Apathy allows Israelis to live in comfort behind iron walls while remaining immune to the occupation and innoculated from its horrors. The culture of apathy allows them to watch the news and let out a groan of concern without thinking seriously about political engagement. In the case of the waitress at Pua, her apathy enabled her to witness the brutal military repression of legitimate political protest in the West Bank, only to return home to Tel Aviv and ignore her culpability. The cultural boycott forces Israelis to deal with Israel’s behavior towards Palestinians by targeting them where it counts most: in the heart of their affluent comfort zones. The extreme right of Lieberman and the settlement movement must be confronted and exposed, but they are only the most extreme representation of an official ideology of racism towards Palestinians and the Arab world. They have grown and metastisized through fervent political activity, charisma and demagogy, while the “Good Israel” of Tel Aviv sits by impassively, and even cynically, watching the waves roll in while their society goes over the brink. It is the culture of apathy that supplies oil to the Occupation Machine. Many Ashkenazi citizens of Israel have a second passport, allowing them to travel to and receive benefits from Western countries. They have developed an easy escape valve from the oppressive and violent manifestations of Jewish nationalism. Meanwhile, Palestinians live under a matrix of control devised inside US and European-funded Israeli universities and high tech research centers. An elaborate network of walls, electrified fences, biometric scanning devices, predator drones and collaborator networks ensures that each aspect of their lives is dominated by the Occupation. Because Palestinian residents of Jerusalem are forbidden from living where they choose with West Bank spouses, even their love lives are occupied. How would our waitress at Pua react if her life was subject to such crushing limitations? We have often heard the argument that Macy Gray and other artists thinking about boycotting should perform in Tel Aviv and Ramallah. This commonly held idea not only reinforces concepts of segregation between Jews and Palestinians, it misses the point of the Palestinian boycott call entirely. The cultural boycott is designed to undermine the normalization of Israeli society. Palestinians do not necessarily want to see rock shows in Ramallah, they want to bring an end to the occupation. The 170 Palestinian civil society organizations who crafted the BDS call concluded that the most realistic non-violent means for ending the occupation was to force Israelis to live with the full responsibility of their actions. This was one of the ideas behind the boycott of Apartheid South Africa and one of the reasons why organizations like the South African Artists Against Apartheid now work to achieve the same goals in Israel. My colleague and peer, Noam Shiezaf, published a thoughtful piece on this site arguing that Macy Gray should request that a certain number of tickets be sold to Palestinians in the West Bank for her Tel Aviv performance. The Palestinians would buy the tickets and then Israel would refuse their entrance to Tel Aviv. This would then provide a suitable subtext for Macy Gray to cancel her show. The idea is clever but raises an important question: why would Macy Gray need to create a subtext to cancel? 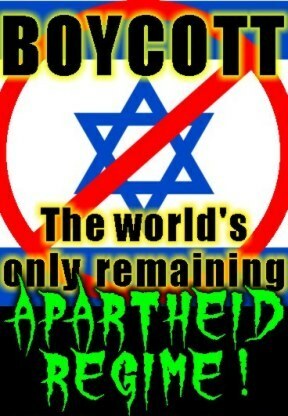 Doesn’t the longest military occupation in history provide a suitable enough reason to boycott? Furthermore, Israel would be able to correctly point out that Palestinians from the West Bank, by and large, are not allowed to enter Tel Aviv due to the sovereign laws of entry and exit to the State of Israel. Thus, the stunt would accomplish little more than reinforcing the notion that a militarized and radicalized Israeli society is perfectly kosher. And by circumventing the substance of the Palestinian BDS call, it allows critics to paint the cultural boycott as a form of collective punishment. Too much of the commentary about BDS addresses the movement in a vacuum. The fact is, BDS is an integral part of Palestinian non-violent tactics. Quite simply, BDS is the globalization of Palestinian non-violent action against Israel’s occupation. So why do certain Jewish organizations from the United States and Israeli liberal Zionists lend rhetorical support to the joint nonviolent struggle in Sheikh Jarrah and elsewhere, while demonizing the call for BDS as borderline anti-Semitic and beyond the pale of reasonable people? Would the leaders of these organizations sit with the Palestinian families forcibly evicted from their homes in Sheikh Jarrah and tell them that their tactics are illegitimate? It is easy to wash your hands of moral responsibility by participating in noble but ultimately doomed battles against the Occupation Machine. Confronting your own personal responsibility in allowing the crisis to reach such a terrible juncture is much harder, if not impossible, for too many. Perhaps the hardest step for the left-wing of the Jewish Establishment is ceding control of the debate while Palestinians assume the lead in their own struggle for freedom. If the international community and especially the American Jewish community is unwilling to allow Palestinians a global form of nonviolent resistance against Israel’s occupation, what is left for the Palestinians to do? If violence is out of the question – it is certainly a terrible option for everyone — should Palestinians simply allow the Occupation to sweep them away like dust? This is the question posed by the Palestinian national poet Mahmoud Darwish in his famous poem, “The Earth Presses Against Us.” “Where should we go after the last border? Where should birds fly after the last sky?” he asked. BDS may not be a panacea, but it at least ensures that for the Palestinians a horizon darkened by occupation can be extended until a just solution comes into view. Hi desertpeace, your whos afraid of the big bad boycott post is really one particular of the most beneficial substance that :-bd. I need to read this again to take the arguments in – I am going to do what I can to help promote the boycott. Thankyou for the article.